In case you decide to go in for purchasing a used car, it’s advisable to see, in particular, some of the parts/details besides the price. For knowing how long the car has been used, have a look at the registration papers. Used cars that are over 5 years old or which have done over 20,000 km by the odometer need to have an extra scrutiny, preferably by a professional automobile assessor. In case such a car has been used and maintained well by the owner, it need not be a no-no bargain if you are getting an overall good deal. Generally, you be should keep your short listing for cars that are within 5 years old. Engine sound when running gives a good idea of its condition; smooth running sound without jerks/noticeable noises is an apparent indication the car engine is OK. If the car is to be used as the donor vehicle for your homemade electric car project, the condition of the engine may not be a factor since it will be replaced with an electric motor anyway. Depending blindly on the odometer reading may at times put you in a problem as it could have been tampered! The depth of grooves on the tires is a tell tale indicator of their condition; you may easily gauge them with a key. Some of the comparatively more important car components that need special attention before you finalize your deal are battery, bearings, electrical wiring, springs and shock absorbers, all the lights on the car body and inside its cabin. If these are in good working condition, you will be able to start driving immediately on purchase and save you from a headache just to start with. Making a list of items and papers you are going to look for goes a long way in not missing out on any of the important points. This list should sure start with car model. Salient features of different models can be found out from a search on the internet; so also any particular drawbacks. Reviews by actual users found on various sites should also give you an idea though the possibility of finding such reviews got planted by the manufactures/ dealerships to promote sales cannot be ruled out. Be judicious in believing what all is said. Next, the year of manufacture needs to be checked from the registration papers. Car battery is a vital component and in case it has done its life beyond warranty cover, you should keep a mental provision for replacement in your total budget. After warranty, the battery can give in any day; so don’t go by the fact that it is taking the load of start up. Once the car gets started, the electric supply is taken over by the alternators which in models that are around currently are very powerful and can easily mislead you to a wrong conclusion about the battery condition. Also, see that the battery terminals do not have a white deposit on them and the battery doesn’t show acid leakage. Worn out bearings and bushings make a typical noise; do look out for this. Some external features are easy to check; there should be no hesitation asking for a display of their working. Head lights, dippers, tail and reverse lights, cabin lighting and wipers if found in good working condition also gives you a fair idea about how well the owner has maintained the car. Other than the above points, all related to the car condition, it is important that the payment terms too should suit you. In case you would want your purchase financed, approach the finance outlet with the required details to get their in principle approval. In case you do not find dealers in used cars in your area, you may choose one online but ensure transport charges too are reasonable. Such dealers also carry out necessary replacement of worn out parts and repairs; do have these done before the car is transported. It is always advisable to test drive before you seal the deal. It gives you a firsthand idea of what you are going to have. 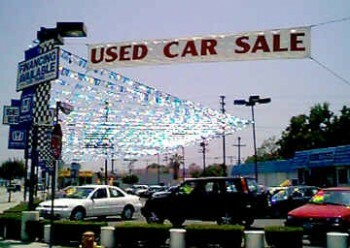 Now that you know what to look for when buying a second hand car, go ahead and start your vehicle shopping.